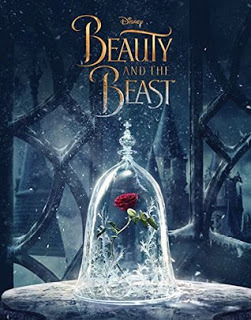 This is one of my favourite fairy tales, and I took my kids to see the Beauty and the Beast film adaptation starring Emma Watson earlier this year. We were awestruck seeing this movie brought to life and much prefer it to the Disney animation. When we saw this novelization of the movie, my younger daughter asked me to buy it for her and I read it aloud to her. Normally, I shun watching the movie before the book but, since we were already familiar with the tale, it was okay to do it backwards! Belle and her father live in a quaint village in France. While all the other girls in the village pine for the town stud Gaston, Belle rebuffs his advances and would rather have her nose in a book! This makes him all the more determined to make Belle as his wife, as he loves the thrill of the chase and the challenge. Belle’s father leaves with his horse and cart on a journey to sell his handmade music boxes in neighbouring towns. Before he goes, he asks Belle what he can bring back for her. She asks him to bring her a rose, just as she does every year. When the horse returns to Belle’s home without the cart or her father, she knows that something must be wrong. She mounts the horse, Philippe, and urges him to lead her to her father. They go through the woods, and Belle finds the upturned cart and broken music boxes so she knows that her father must be close. She sees a castle and enters it, and she calls out for her father. She hears him and finds him locked in a room. Belle’s father implores her to leave before it’s too late, and then it is…the Beast finds her. He tells Belle that her father is a thief for trying to steal one of his roses, and Belle feels horrible for knowing that her father was imprisoned because he was only trying to fulfill his daughter’s wish. Long story short, Belle begs for the chance to say a proper goodbye to her father and pushes him out of the cell and locks herself in. She takes his place. Little does she know that a spell has been put on the castle and its inhabitants. The only way to break it is for the Beast to fall in love and be loved in return before the last petal falls on an enchanted rose kept under a glass dome in the Beast’s quarters. Time is running out, and it’s up to Belle to break the spell. I absolutely love this story! Belle is the perfect heroine. She always thinks of others before herself and does kind things for others. She is a responsible young woman, and she adores her father. She knows that she is different from the other girls in the village and that they think she is strange, but she is okay with that. I love that she marches to the beat of her own drum and can stand tall under the criticism of others. She is a wonderful role model, and I also love that she’s a bookworm! I love the transformation of Belle’s and Beast’s relationship, how they became friends and how their love blossomed from that. Belle sees the Beast’s inner beauty, and she no longer even notices what he looks like on the outside. I love the effect this has on Beast, and how it softens his heart. It’s such a perfect and romantic tale. 5 stars!! I loved it and will likely re-read it! You should definitely read it if you enjoy fairy tales. Great review! If you liked that, you might be interested in an inspirational retelling of the story in a modern day society, Beast by Brie Spangler.